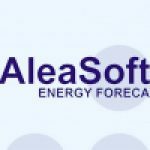 AleaSoft provides solutions for automatic demand and price forecasting in the Spanish electricity pool. April 1, 2006-Barcelona. Electrabel, one of the most important European utilities (with more than 29.000 MW in Europe), has selected AleaSoft (aleasoft.com) for the supply of software for demand and price forecasting in the Spanish electricity pool. The objective of this supply is to support Electrabel activities in the Spanish electrity market, now that the company is participating as a power generator. For market participants, demand and price forecasting solutions are fundamental to optimize planning and market operations. AleaSoft tools supplied to Electrabel provide demand and price forecasting, hour-by-hour, in the short-term horizon (10 days) and in the middle term horizon (4 years). The forecasting results are accurate and the processes are totally automatic. Another advantage of these tools is that they use public data easy to obtain, so they can be used by any agent. The use of public data allows a fast implementation and a low effort in data maintenance. The applications supplied are based on AleaSoft Forecasting Methodology and they combine AleaSoft Neural Networks and General Statisics. AleaSoft contract with Electrabel reinforces the position of AleaSoft as a leading provider of robust and reliable forecasting tools addressed to electricity market agents. It is also a strategic step for AleaSoft expansion policy in Europe. AleaSoft is a leading supplier of this kind of solutions, with clients as Enel, Endesa Italia, Terna – GRTN, REE, Endesa, Iberdrola, Unión Fenosa and Viesgo.